The Prestashop google analytics addon allows the admin to track the customer’s behavior on the checkout page and let him know exactly after which step, the customers abandon their carts on the same page. The customer visited checkout module page or not. The customer entered email id or not. The customer clicked on Payment method/Place order button or not. The customer completed the transaction or not. 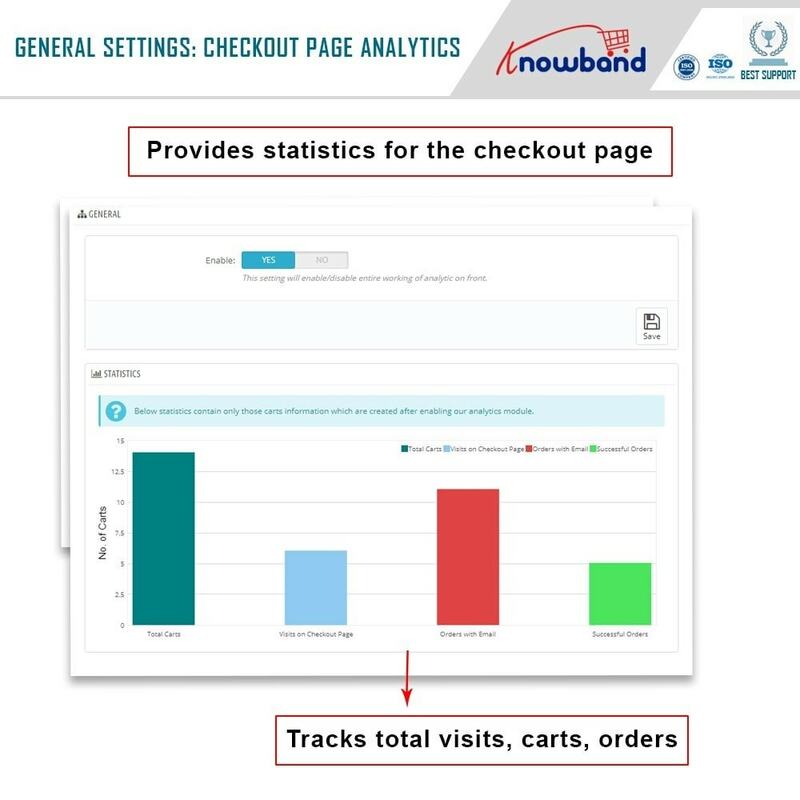 Based on above tracking, the Prestashop Abandoned cart analytics by Knowband shows the analytic reports and statistics in the back-end. The Prestashop store admin can view the monthly, weekly, yearly statistics of the above actions of the customers and can also set dates to view reports. The store admin can view how many number of carts have been generated after enabling this Google Analytics Prestashop addon. The admin can understand exactly how many customers came to the checkout page but didn't place the order. The store admin can also figure out how many customers entered their email ids to proceed further but didn't place the order for some reason. This Prestashop checkout page analytics module shows email id of such customers and their complete cart details. Sometimes the customers click on ‘place order’ and actually want to buy products but do not complete the transaction because of some issue on the site. 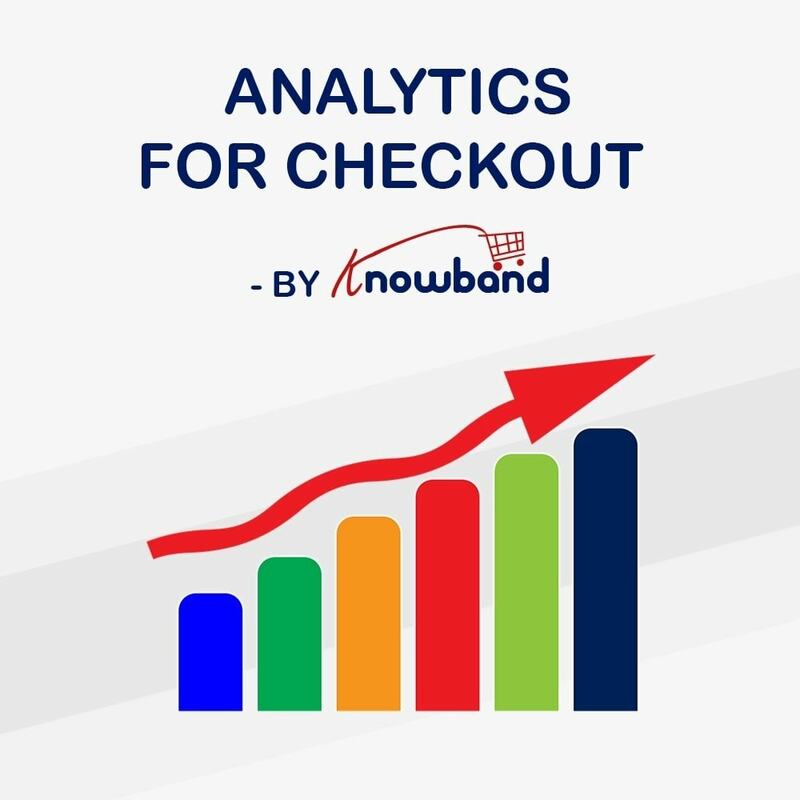 Prestashop checkout analytics addon by Knowband helps the admin to identify such customers with their cart details and email id so that he can contact them to complete the transaction. This Prestashop addon shows the email id for all carts if the customer entered email id on the checkout page. The module has an option for the admin to view any cart details. The Prestashop store Admin can set how many entries he wants to view per page. The admin can search cart for any specific customer by entering his email id so that he can identify which step this customer has abandoned his cart. The option to view cart of only Visitors, Guests, or Registered customers specifically is also available in the Google Analytics Prestashop addon. The admin can view weekly, monthly, yearly reports or set dates by himself. 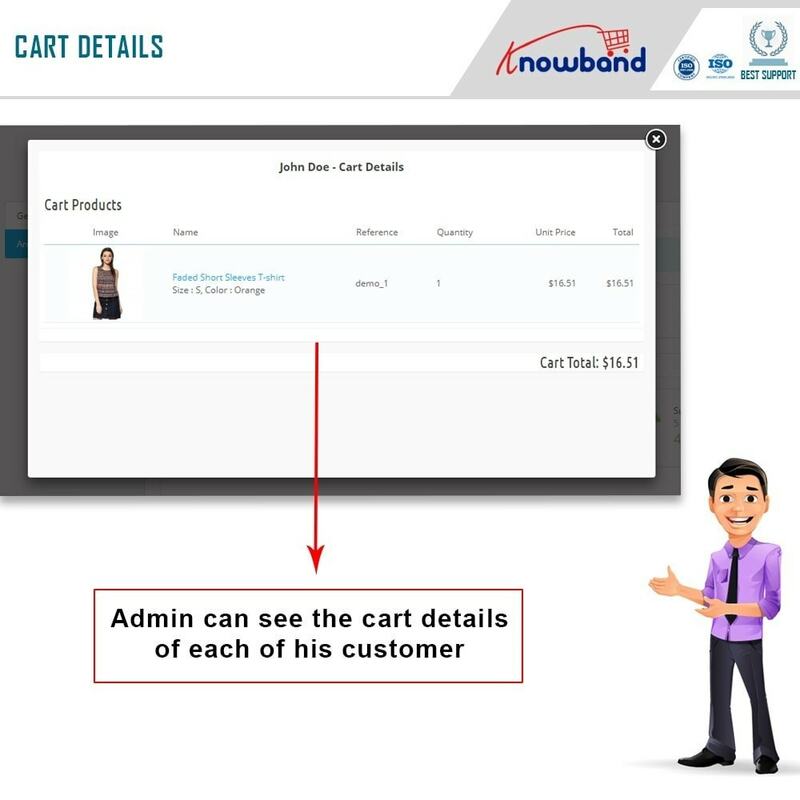 He can view customers details if available on any cart by toggling a few buttons. 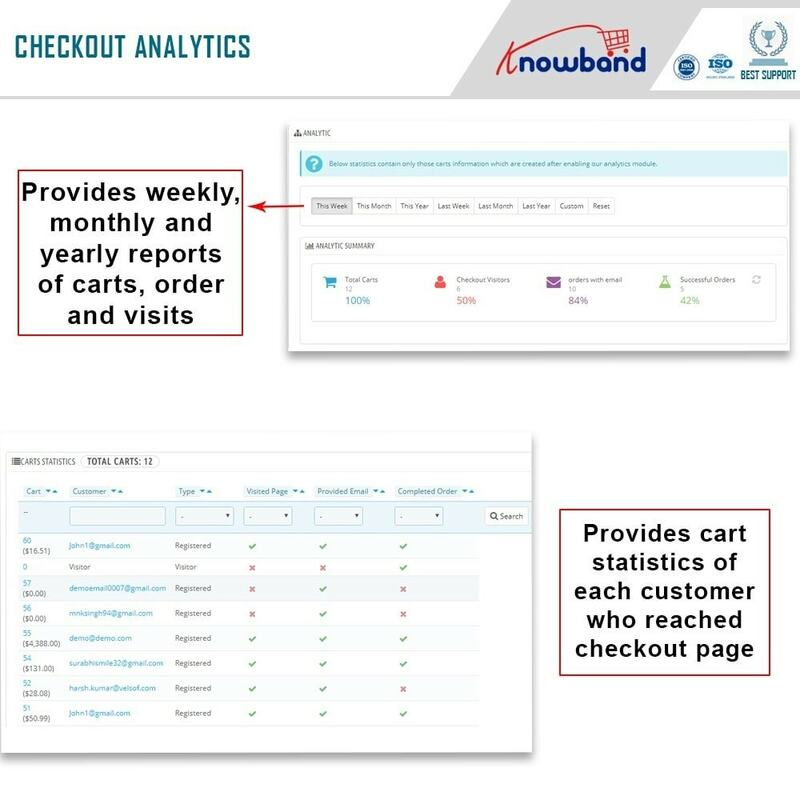 The Prestashop module track customer’s behavior on the store: This Prestashop checkout analytics module tracks customer behavior and lets the admin know after which step the customer actually abandoned the cart. Records Email Id and cart details: The admin can Record email id of such customers and show complete customer and cart details with this addon. Admin can then contact the customer to know if customer faced some technical issue while completing the checkout process. Helps admin to recover Abandoned carts: After viewing the reports, the admin can take action to recover the abandoned carts by contacting the customer who clicked on ‘Place order’ button but didn't complete transaction later. Customer Details: The Prestashop Abandoned cart analytics allows the admin to view customer detail of any cart (if available), based on that, the admin can take the decision to recover cart. Cart Details: Allows admin to view complete cart details with customer email id (if available) so that admin can contact the customer to recover abandoned cart. Graphs for Quick analysis: The Prestashop module also shows the graph to have a quick glance at customers behavior on the checkout page. Analytic Summary: The admin can view weekly, monthly, yearly statistics and can also set dates to view reports. Search by Email: This is a really useful feature. If the admin needs to search for some specific customers to know exactly after which step, that customer abandoned his cart.